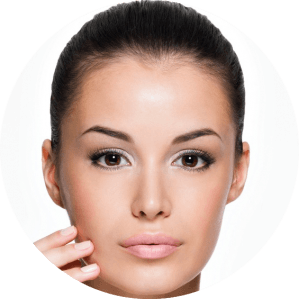 Radiesse® is a soft tissue filler that Dr. Sean Simon a Miami Plastic, Facial Plastic and Cosmetic Surgeon uses to fill in facial folds. Dr. Simon has also found Radiesse® to be useful in Facial Contouring and Facial Sculpting. Fill in facial depressions and deep irregularities from soft tissue and fat loss. FDA APPROVED to safely correct wrinkles and folds around the nose and mouth, including Nasolabial Folds and lasts longer than the former leading cosmetic filler. Stimulates your skin to produce NEW COLLAGEN and immediate correction in a treatment that can be performed over your lunch hour! FEWER INJECTIONS and office visits and BIOCOMPATIBILITY means no allergy testing prior to treatment. The NEXT GENERATION cosmetic dermal filler made of ADVANCED calcium based microsphere technology. 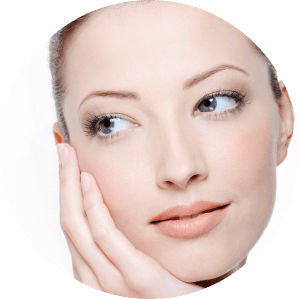 Radiesse is made of unique calcium-based microspheres that are suspended in a natural gel that is injected into the skin through a simple, safe and minimally invasive procedure. Cost effective treatment that lasts longer than other fillers and uses less material to achieve optimal correction and long lasting results. Radiesse® is ideal for the treatment of lines and wrinkles around the nose and mouth. These lines are typically above the mouth, running from the nose to the corners of the upper lip (Nasolabial Folds), or pointing down from the corner of the mouth towards the chin (Marionette Lines). Long lasting, not permanent, with none of the risks associated with permanent implants. Radiesse is also FDA Approved for restoration and/or correction of the signs of facial fat loss (lipoatrophy) in people with human immunodeficiency virus.